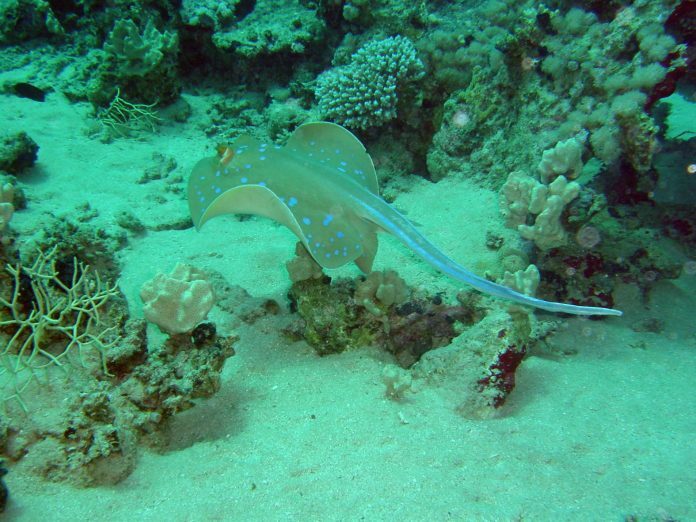 SHOWTIME: Tourists could soon enjoy a new experience with a stingray show at Queenscliff. QUEENSCLIFF Harbour management is pushing to repair Fisherman’s Wharf and develop infrastructure for a stingray-feeding tourist attraction following State Government inaction. Harbour manager Sean Blackwood said he was working cooperatively with Borough of Queenscliffe to plan reinstatement works on the neglected wharf. Charter boat operator Andrew Malouf’s proposal of a stingray-feeding tourist attraction to “bring in $60,000 to $80,000 a year” remained on-hold due to the wharf’s condition. The Independent first reported in 2008 Mr Malouf’s plans to produce regular shows entertaining and educating local and international visitors about Queenscliff’s stingrays in their natural environment. Mr Malouf said following a successful 10-week trial in 2008 that his twice-daily 45-minute shows would rival Phillip Island’s penguins. Last January Mr Malouf told the Independent he had a State Government permit to operate his business but the wharf’s “absolutely disgraceful” condition was preventing him from submitting an application to build a 150-seat auditorium. Mr Blackwood expected the wharf works to require further funding because State Government’s 2010 commitment of $1.8 million followed plans to reuse existing steel infrastructure. Mr Blackwood said new plans would probably involve sourcing new or recycled steel sourced from elsewhere. Mr Blackwood was enthusiastic about the stingray attraction. Mr Malouf remained “excited” about his “joint venture” with the harbour management.